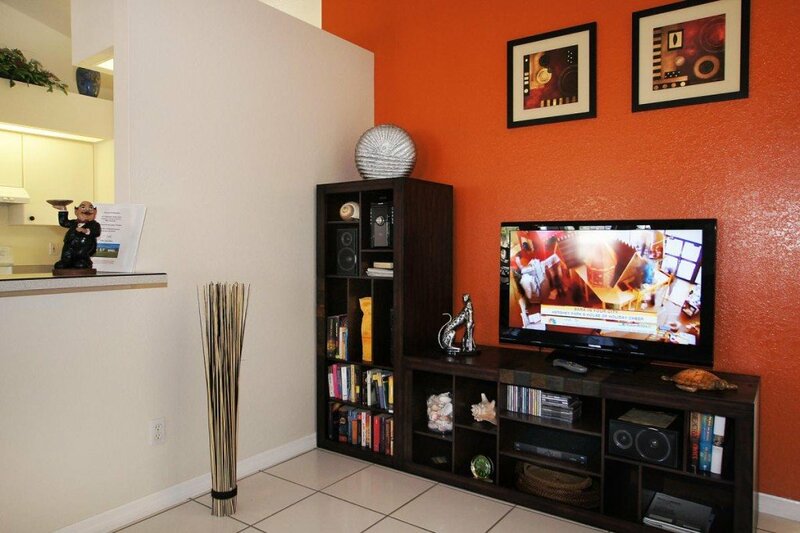 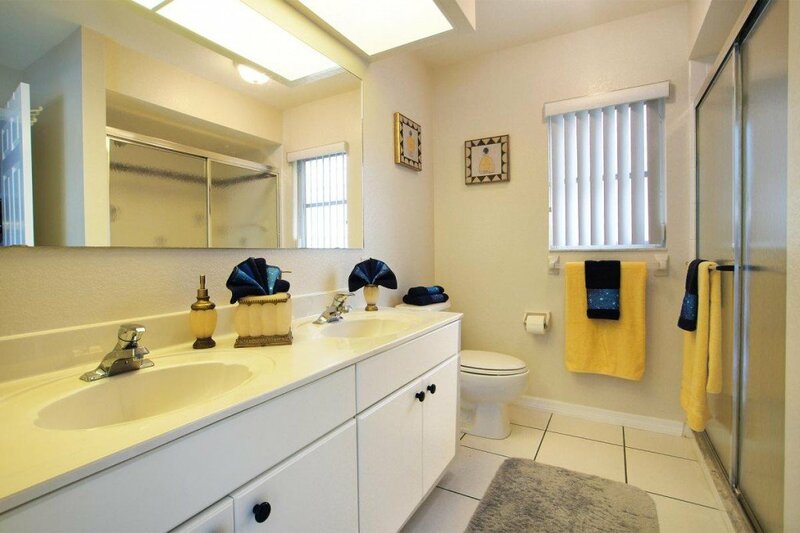 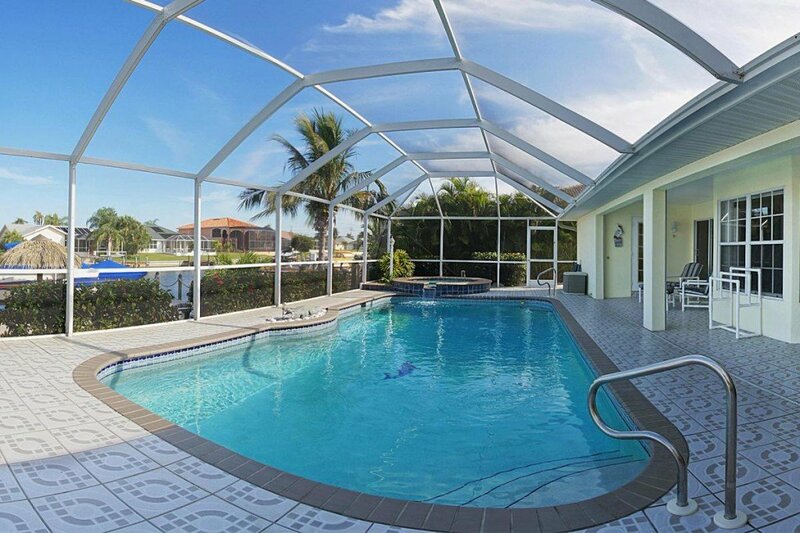 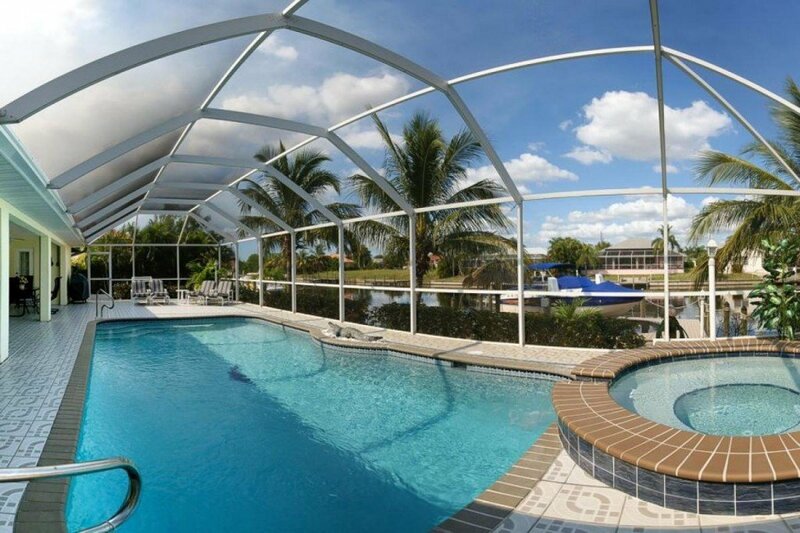 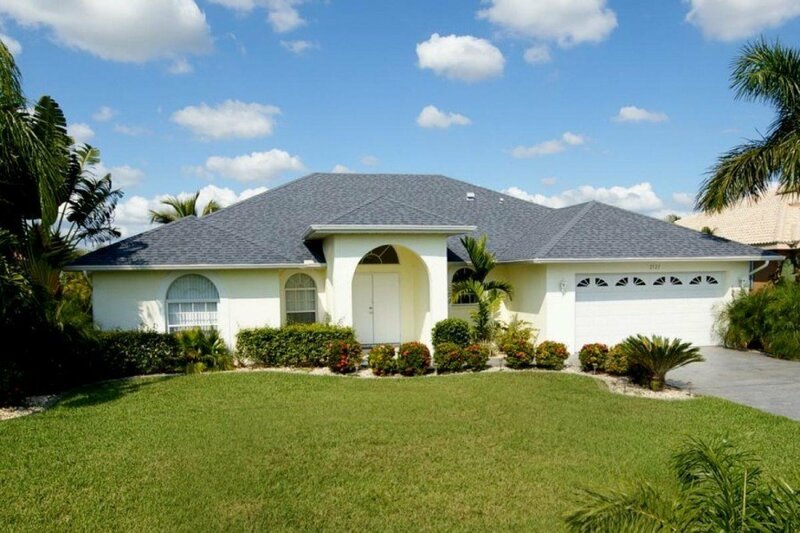 One of the most popular areas in Cape Coral, as far as vacation homes go, is the SW part of town below Cape Coral Pkwy, and that is where the beautiful Villa Sunshine is situated. 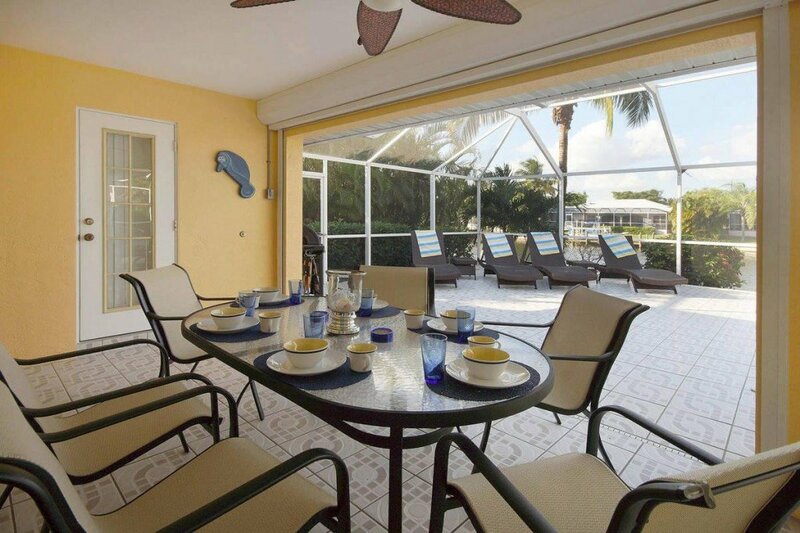 When renting this home, you rent a little piece of paradise. 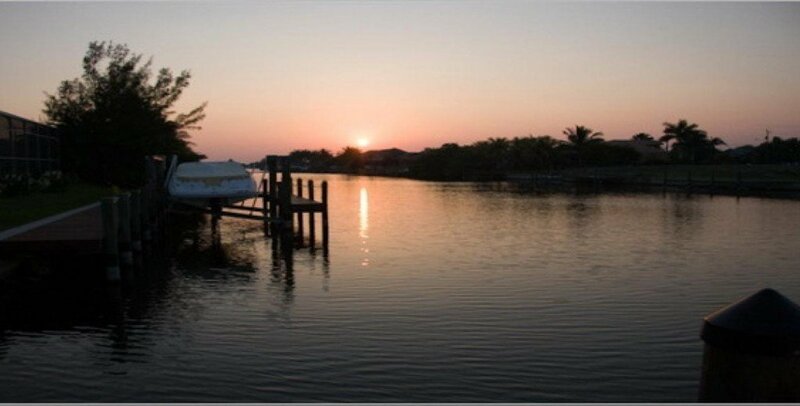 Located on a wide Gulf access canal with lovely water views, the property offers room to relax and unwind for up to six guests. 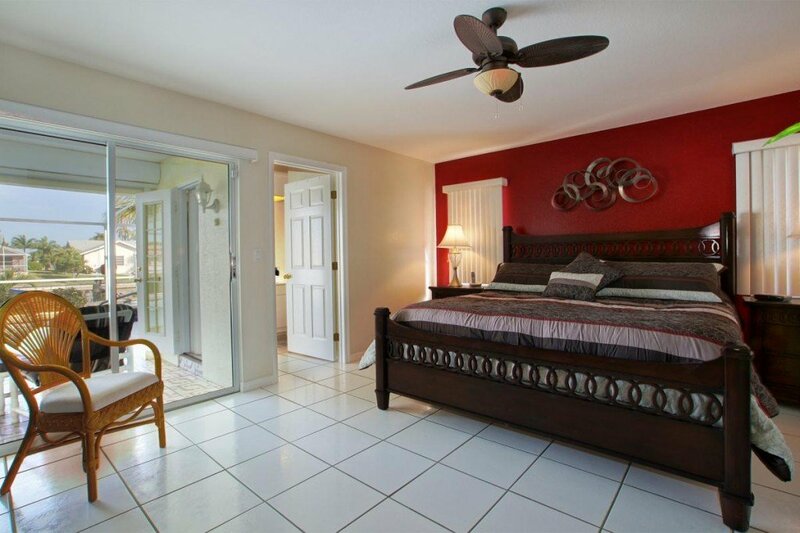 Features include three bedrooms, three baths – very convenient at full occupancy – and an open design where kitchen, dining area and living room flow into each other, thereby creating a particularly spacious and inviting atmosphere. 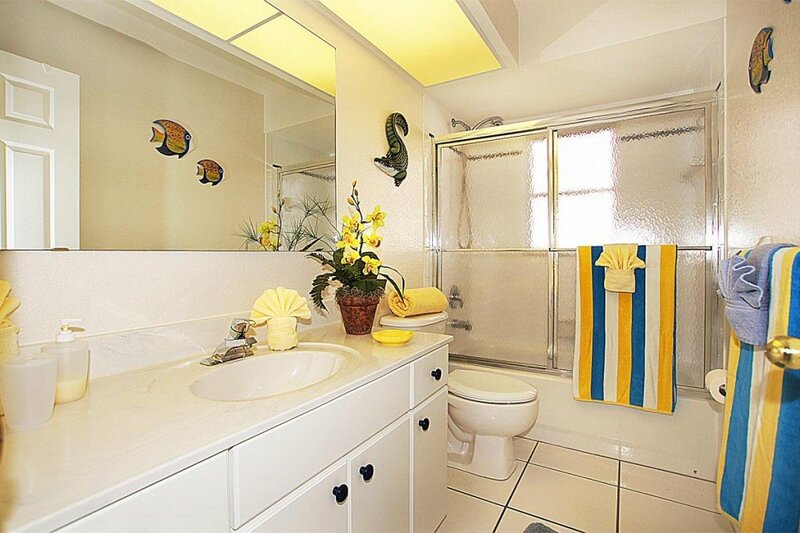 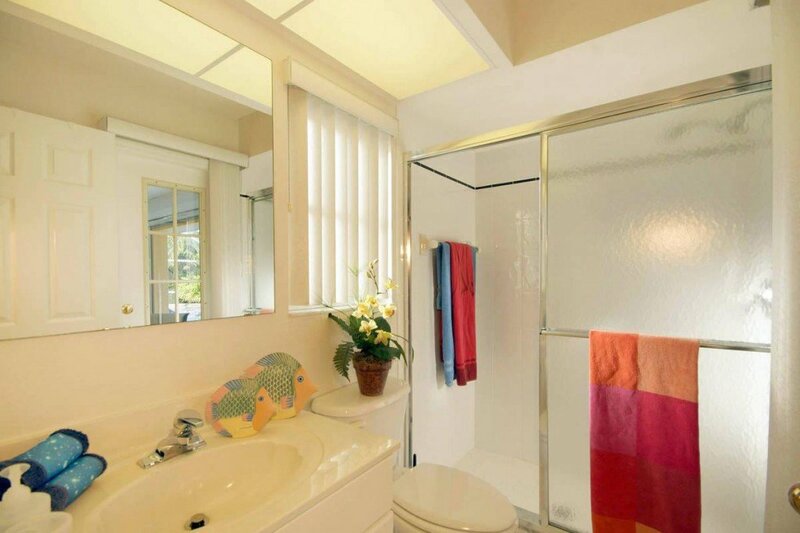 The cheerful interior design makes you feel right at home. 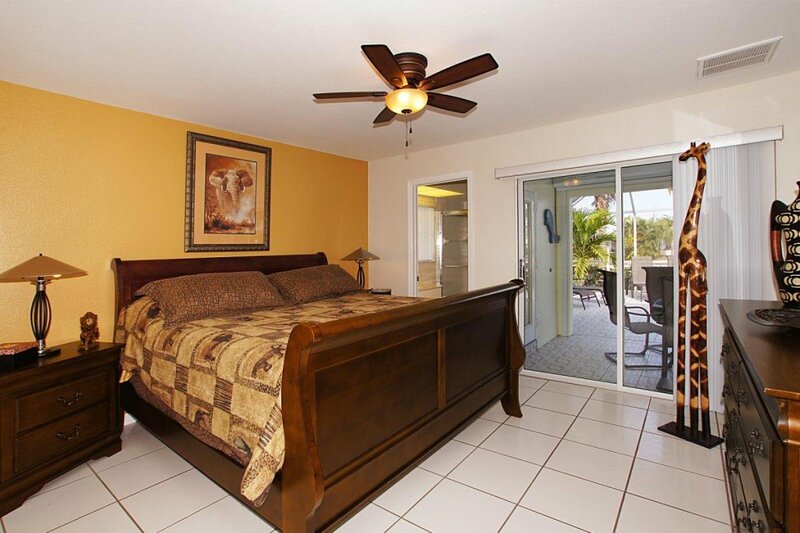 Two of the bedrooms have sliders leading out to the patio, while a large arched window in the third bedroom makes this room light and airy as well. 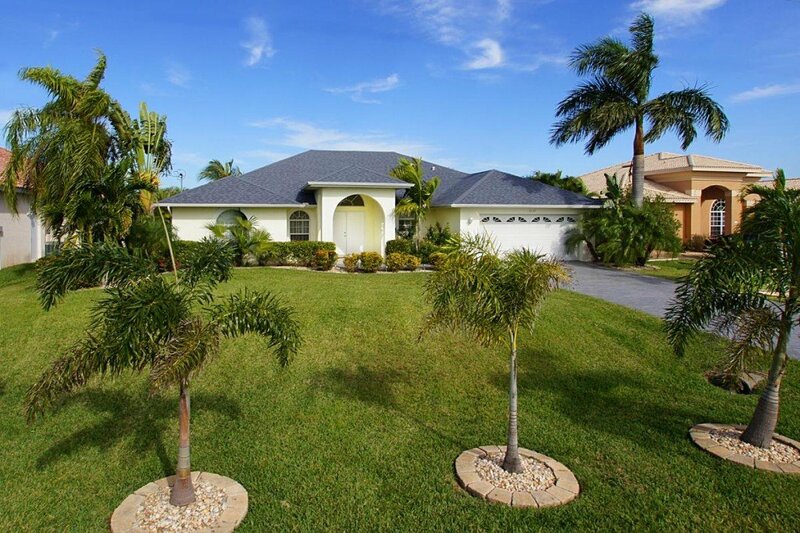 Manicured tropical landscaping with several palm trees surrounds the entire property. 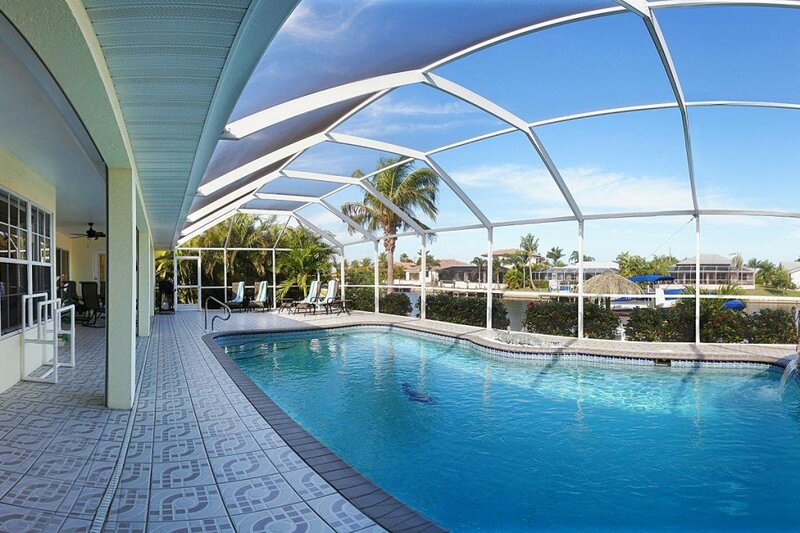 The tiled pool area includes an electrically heated pool with spa, a covered patio with dining set and a sun deck where you can stretch out on one of the lounge chairs. 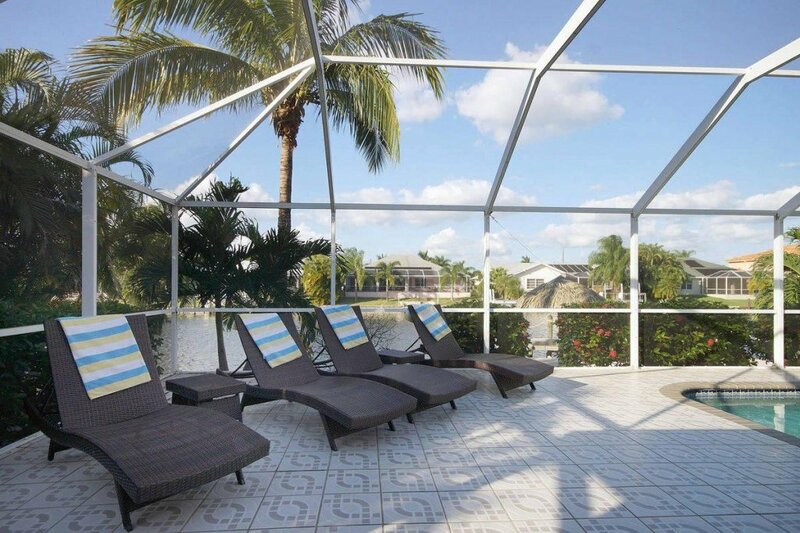 Don’t be put off by the northern exposure – Florida’s nickname, the Sunshine State, is definitely justified and the pool area does get sunshine. 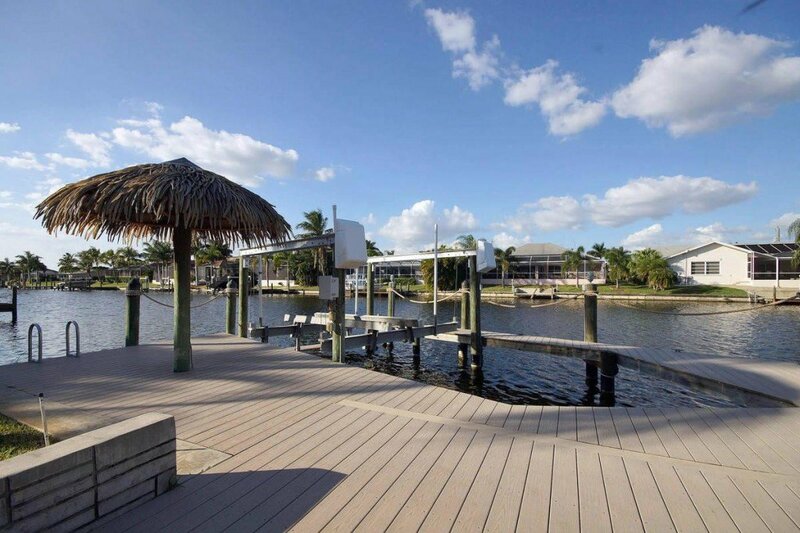 In addition, there’s a large dock with Tiki hut and room to set up the lounge chairs to soak up the sun. 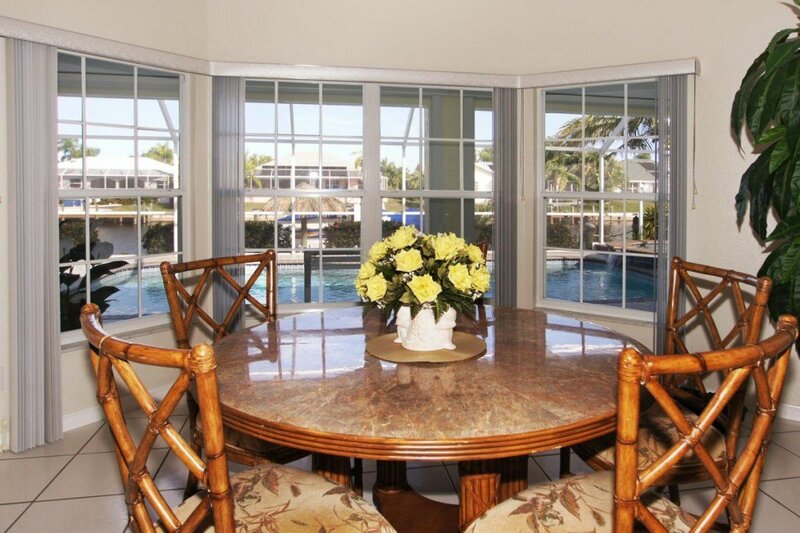 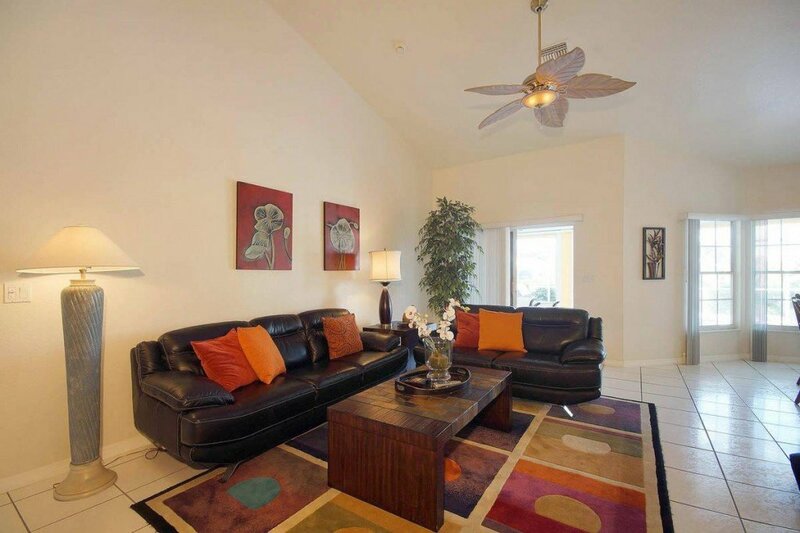 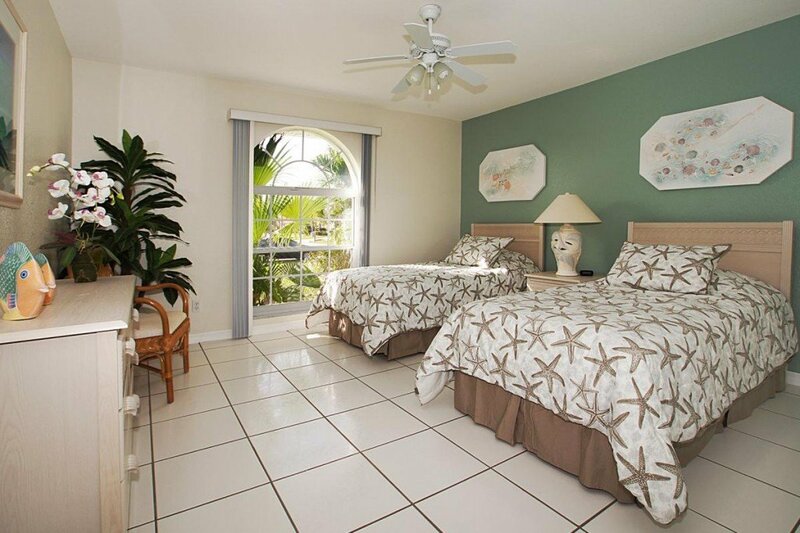 Your vacation quickly becomes a dream vacation in these wonderful surroundings.